Zelda: Breath of the Wild DLC! GoNNER! Switch discounts! More! The European Nintendo Download Update is here, bringing with it some exciting retail DLC along with some interesting new download-only games. We have options across Switch, 3DS and Wii U to consider, along with the usual (and Switch) discounts doing the rounds. Check out the full line-up below. 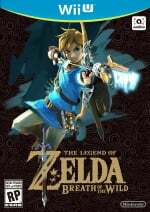 The Legend of Zelda: Breath of the Wild Expansion Pass (Nintendo, €19.99 / £17.99) - This week sees the launch of DLC Pack 1: The Master Trials, which is only available through buying the Expansion Pass. It includes a the 45-room Trial of the Sword, the 'Hero's Path' map functionality, four new pieces of armour, the Korok Mask, and finally the more difficult 'Master Mode' for a challenging playthrough. DLC Pack 1 is available from 30th June. 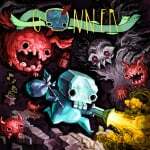 GoNNER (Raw Fury, €9.99 / £8.99) - Previously released to plenty of acclaim on PC and Mac, this is a roguelike platformer consisting of ever-changing, procedurally-generated levels. It has plenty of outfits and weapons to experiment with and is pretty darn difficult, challenging players to step up their game. We gave it a recommendation in our GoNNER review. 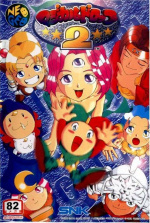 Magical Drop II (HAMSTER, €6.99 / £6.29) - A Neo Geo-era falling object puzzler, as you'd expect your job is to match up coloured orbs and to string together combos. We'll take a fresh look, but when we reviewed it on the Wii Virtual Console we enjoyed the addictive gameplay, bright design and catchy music. As an ACA release this will also have the various filters and online leaderboard features we've come to expect. 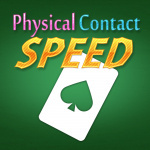 Physical Contact: SPEED (Collavier €4.99 / £4.49) - Update: this was apparently listed in the press release in error and is not out this week. Mighty Gunvolt Burst (Inti Creates, €9.99 / £8.99) - This adopts retro-style visuals and the action platforming puts an emphasis on getting close to enemies before attacking. This was also released on Nintendo Switch not so long ago, so you can check out our review of that version while we play through on 3DS. Space Hunted (Ultra Dolphin Revolution, €2.99 / £2.69) - There's very little detail on this out there, apart from some screens from the developer showcasing a retro-style action platformer, along with a promise of 128 levels and various powers to collect. It's the same development team that produced the excellent Shadow Archer, though, which gives us some optimism for this one. BLOC (Cragworks, €3.00 / £2.69) - Adopting the table-top game approach seen in Wii Party U, in which players share a GamePad and play on its screen, this tries to offer a variety of extravagant twists on Pong gameplay, supporting up to four player on the hefty Wii U controller. Unfortunately we were distinctly unimpressed in our BLOC review. 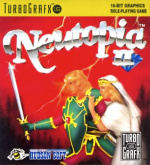 Neutopia II (Konami, €5.99 / £5.39) - A TurboGrafx-16 RPG followed the storyline of its predecessor, with gameplay familiar to fans of Nintendo's early Legend of Zelda games. We gave this a recommendation in our short and snappy Wii Virtual Console review nearly a decade ago. 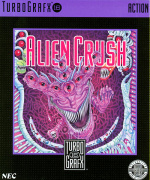 Alien Crush (Konami, €5.99 / £5.39) - This TurboGrafx-16 game offers something a little different from the old system, as it's a pinball game with a sci-fi theme; we liked it in our review way back in 2006. There are some interesting choices in this week's update - let us know what you'll be downloading in the poll and comments below. So why wouldn't an American user who wanted the game just sign in via the Europe eshop? BOTW DLC on Wii U is ridiculously big compared to the Switch file size. 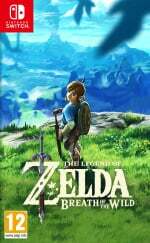 does anyone know if the zelda dlc will be available at midnight? Nintendo Life. You might want to edit your article. Physical Contact: Speed isn't out on the UK Switch eShop today. It's in the 'coming soon' section and listed as TBD. There's no sale up for Bomberman R on the UK Switch eShop either. It's still listed as £49.99. I think I'll stick with my SNES prototype PAL cart of Magical Drop II. @Folkloner Ah, apologies, Bomberman R is on sale from 1st July to 8th July, so we need to wait a couple of days. As for SPEED, I don't know what's going on with that, it's listed in the press release. No Discount for Bomberman R on German eShop. But Vaccine on the Japanese eShop is a nice Resident Evil Clone an has a cheap price with 7,77 euro(1000yen). @RexNatFlenders Bomberman discount starts 1st July, now clarified in its article entry. I highly recommend Mighty Gunvolt Burst to anyone who's yet to try it. It's very rare that I'll jump straight back into a game as soon as I've completed it, but I'm on my third play through now. Going to wait for the real BOTW DLC to be shown before committing to buying it. I'm going to pick up SteamWorld Heist on 3DS, even though I already own it on Wii U.
I'll wait for Magical Drop III. One year ago : "Go to hell and die Konami !!" Today : "Oh ok, here are my 30 bucks, Konami." Alien Crush! I should be able to get the discount as I own it on Wii yes? Tempted to finally get Bomberman as well. 30€ for Bomberman is legit. And since I don't have Snake Pass either, might as well grab that too. Soon Splatoon is out, then it's almost august and my most wanted game atm. RABBIDS + MARIO! Glad I never told them that as I'm thinking of giving them £30 for Bomberman! Does anyone know when we can download that DLC? Will it automatically be downloaded so I can play immediately when I get home? @Roam85 I wonder about this too. Does a European copy mean you'll connect to European servers for instance? I might pick it up for that price btw. It looks like a nice game. Gonner already downloaded. And it's awesome! Highly recommended! May pick up Super Bomberman R as well at that price! I think I'll grab The Outsider DLC for Steamworld Heist on my 3DS! Would love to know what time the Zelda DLC is expected to drop but guessing Nintendo hasn't made it clear? None of the first pack of BotW DLC interests me much so will wait until Part 2 to see if I'll go for it. Apart from that, nothing for me. I've been looking forward to Gonner for awhile. 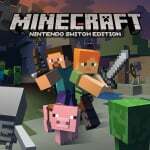 I picked it up on Steam awhile back and stopped playing once I saw it was headed to the Switch. This is a definite double purchase for me. @SLIGEACH_EIRE Out of curiosity, what would you have to see of the DLC to not want to buy it? I mean I'd pay £20 just for this initial pack, but I'm a sucker for anything with a Triforce slapped on it. What will make you want to buy it, and what will put you off? @Jacob1092 I'll probably buy it. But I don't want Nintendo thinking I'll blindly buy something without seeing it. I'm sure it'll be good. But I'm not going to miss out on anything really in this pack. A few costumes that don't really add anything apart from the Korok Mask and as I said it's too late now. Traveller's Medallion, too late. Quite tempted by Gonner, do like Roguelikes/lites and it's pretty cheap. Wasn't Binding of Isaac supposed to be out by now? Not in a desperate rush as I've got it on PS4/Vita and 3DS anyhow but may still get it for Switch at some point, especially if Europe gets a version with the manual etc like the US. I'll be downloading the Zelda DLC because I already paid for it, but I don't think the content is compelling enough to replay the game. I'll wait for the second pack. Other than that, Gonner looks good. I will wait for reviews, but it has my attention. I've not had much reason to pick up my Switch lately other than when I have someone over... Need more games. Splatoon 2 soon, I guess. Also, that Steamworld DLC is tempting but idk if I'll bother. Might just wait and see if they do a 'deluxe' version for Switch. @Folkloner you may want to read the article again as it's stated release dates and price drops aren't until June 30th and July 1st, so no, they won't be there today. Finally, Bomberman looks like it's approaching its correct price! Only downside is that it will actually cost me £100, as I really should get another pair of joy-cons. Magical Drop is also kind of tempting. 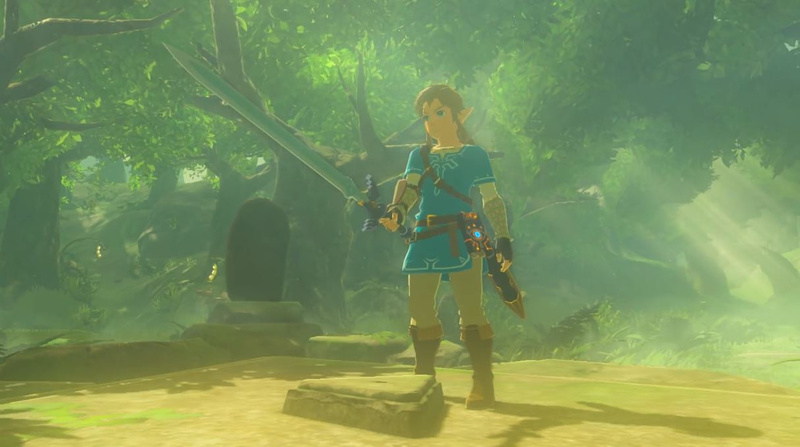 Why does the Master Sword look so oddly long in the pic at the top of this article...? Finally got heist on Wii U. Would anyone recommend the DLC? Yay for GONNER finally making it here... but tell me it didn't just pass the delay torch to Bulb Boy. Should I get Steamworld Dig or go straight to Heist? Aghhh can we stop with the rogue likes!!!! 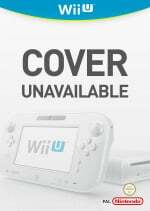 @antster1983 thanks for the heads up, assuming as it's the same publisher Cave Story+ will have a similar delay too. @Sciqueen Go straight to Heist. They are very different games, both brilliant, but SteamWorld Heist is not to be missed. Do we have a time for when Zelda dlc will be live? 4am now and still nothing. Was hoping midnight/2am like some releases and dlc have been in past. Really good stuff to download, it's hard to choose! Magical Drop II is a awesome puzzle game! Might get that. Magical Drop II is very very good.